We're branching out! This month's masterclass features veteran game designer Jonathan Hamel AB '91 (Tomb Raider, Rise of the Tomb Raider). Looking at game design through three lenses—mechanics, dynamics, and aesthetics—we'll learn strategies to make gameplay more fun, as taught by one of the pioneers of MDA. RSVP here! At the end of this month, I'm psyched to be back in Boston/Cambridge for the 25th Anniversary of ArtsFIRST weekend. Harvardwood is organizing an informal ArtsFIRST meet-and-greet at John Harvard's in the Square on Friday, April 28th, and I hope to see/meet many College students and alums who are in town for the festivities! It’s Harvardwood Heroes time again! If you or anyone you know is doing exceptional community service—we want to support it! Deadline is Saturday, April 22, 2017. And also coming up on Saturday, April 22nd is our most popular annual volunteer event, The Great LA River Cleanup. Come join us for a beautiful day outdoors along the banks of the LA river. I look forward to seeing you there! Anonymous Content is looking to hire a literary department intern to start immediately. Paid position with a 2 to 3 day commitment each week. Job consists of mainly script coverage and development work with light administrative duties. The 2017 Harvardwood Summer Internship Program (HSIP) list of opportunities is now available! HSIP provides a list of summer internship opportunities in the arts, media and entertainment to interested Harvard students. In addition, HSIP facilitates career-related activities throughout the summer for participating students and companies in Los Angeles. Companies will continue to send us their opportunities on a rolling basis throughout this spring, and students are encouraged to apply as soon as possible. You must be logged in to Harvardwood to access the HSIP listings and apply for the internship opportunities through this program! Once you have secured an internship, you can sign up to participate in HSIP this summer. Participating interns are invited to exclusive company visits and other HSIP-only events. Past program events have included special film screenings, industry panels, and speaker events. Upcoming in Cambridge: Harvardwood is hosting an informal meet-and-greet / mixer over ArtsFIRST Weekend at John Harvard's in Harvard Square. Executive Director Dona Le AB '05 will be in attendance, so students who have questions about Harvardwood or Harvardwood programs are encouraged to attend. What's an easy way to get a year of free Harvardwood membership? Host an intern this summer in Los Angeles or New York! Because many HSIP opportunities are unpaid, HSIP participants are generally in need of free or discounted accommodations to help defray the costs of accepting these opportunities for the summer. If you have a spare couch, futon, sleeping bag, or room(s) you can provide to a student or students (either free or discounted) for an extended period of time this summer (most internships run from mid-June to early August), please let us know! In addition to our undying gratitude, you will receive a free year of Full Membership to Harvardwood and you will be invited to attend special HSIP activities. Hosts are NOT expected to provide transportation, meals, entertainment, etc. This April, apply to become a 2017 Harvardwood Heroes and receive a $500 unrestricted grant! The deadline to submit your grant proposal is Saturday, April 22, 2017. Launched in 2013, the Harvardwood Heroes grant program aims to spotlight and support Harvard students, alumni, faculty, and staff who have made an exceptional contribution to the community. These Heroes exemplify the mission of Harvardwood by demonstrating the power and purpose of the arts, media, and entertainment in the betterment of our communities. We award $500 grants* to applicants who have demonstrated a distinguished level of service to their organizations of choice. Every year, grant winners will be determined by the strength of their proposal. They will receive the first $250 upon announcement of the winners and the balance of the grant upon submission of a final essay six months later. Q. And did the accompanying exhibition grow out of the book? A. The cool thing about the exhibition at the Annenberg Space for Photography opening on April 8 is that the space was guaranteed before the book came out. It’s truly an amazing space that will house my solo show, capturing in multi-media my journey from using my camera and Kodachrome slide film, to incorporating a recorder and ultimately, beginning in 2004, creating documentary films. The stories are told in sections with very large prints—some 180 of them—and voices and storytelling utilizing big monitors and short films play an important role in the exhibit. Q. Is Trump in the White House the ultimate expression of Generation Wealth? A. It’s uncanny, and I was as surprised as many people were on election eve when the results were announced. Trump is the apotheosis of what I’ve been documenting for the past 25 years. I think we’ve really seen fictional characters like Gordon Gekko become the anti-heroes to real-life characters like Donald Trump and it’s really an expression of our moral values that in a short space of time, we’ve gone from American values such as thrift and frugality to an age of bling and narcissism. In an unusual Vermont chapel, the "Word of Dog" shines from seven stained-glass windows: Friend, Play, Joy, Trust, Faith, Peace, Love. 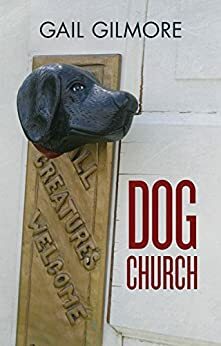 These words and countless others, written on notes left by chapel visitors in memory of their dogs, weave their way through Dog Church, a memoir of love, faith, devotion between dogs and their people, and letting go, by Gail Gilmore, Assistant Director at the Harvard Office of Career Services. This year, Skybound Entertainment (David Alpert AB '97, Partner and President) is partnering with WriteGirl, a creative writing and mentoring organization that spotlights the power of girls. WriteGirl hosts monthly mentorship events for girls from underserved communities and have limited resources within their school systems and homes. Last month, Dr. Wendy Lesser AB '74 published a new biography on late architect Louis Kahn, You Say to Brick: The Life of Louis. Lesser is also the founder and editor of literary magazine The Threepenny Review. Glenn Berger and Jonathan Aibel AB '91 (Trolls, Kung Fu Panda trilogy) will write and produce Luck, one of two inaugural productions of Skydance's new animation division. According to Skydance, Luck is a comedy that “pulls back the curtain on the millennia-old battle between the organizations of good luck and bad luck that secretly affects our daily lives." 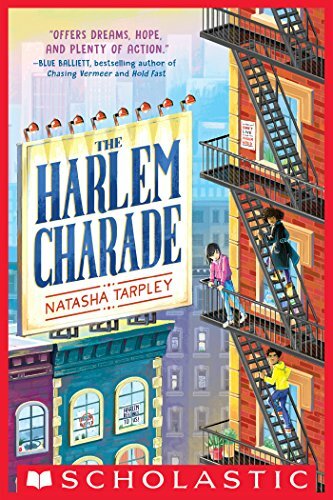 Children's book author Natasha Tarpley AB '93 recently released an action-packed mystery, The Harlem Charade (Scholastic, Feb 2017). Set in contemporary Harlem NYC, this book features three 7th-grade protagonists who must solve an art-related mystery in order to stop a plan by an ambitious politician to turn Harlem into a history-themed amusement park. Megan Brotherton AB '11 and Elizabeth Bates AB '13 have a short film making the rounds on the festival circuit! Catch them next at The Cleveland International Film Festival with “Buttercup” on April 5 & 6th. Megan directed/wrote/acted/produced, and Elizabeth is producer/actress on the film. The work of Peter Lawson Jones AB '75, JD '80 can presently be seen on the small screen, big screen and stage. He is prominently featured in a national Kia/LeBron James commercial. He has also been cast as a principal in the films, White Boy Rick (starring Matthew McConaughey, Jennifer Jason Leigh, Bruce Dern and Piper Laurie) and Legacy (starring Justin Chatwin and Peter Stormare). Finally, in addition to a successful full production last October at Ensemble Theatre in Cleveland Heights, Ohio, his full-length political drama, The Bloodless Jungle, has received staged readings at the Kennedy Center, Dallas Convention Center and in Harlem. Now through April 8th, catch a performance of Assassins, a musical production by James Bundy AB '81 at the Yale Repertory Theatre. Bundy is Dean of the Yale School of Drama and Artistic Director of the Y.R.T. This multiplicity of viewpoints is reflected in the wide range of shows on which she’s been a writer-producer, including Parenthood, Friday Night Lights, The Leftovers, and Fargo. “The decade before my parents moved to Philadelphia, Black people and Jewish people were being prohibited from getting mortgages. But there were these special twin sister realtors in my neighborhood, West Mount Airy, who found a way to get mortgages for would-be homeowners who were discriminated against.” So by the time Monica was born, her parents’ neighborhood consisted of African-Americans, Jews, Protestants, Catholics, Muslims, Hindus, interracial and (later) gay families who were all homeowners or renters in the same neighborhood. “We lived on my parents' modest teacher and artist salaries, but I lived around the corner from what you’d consider mansions. I also lived around the corner from single moms who lived in apartments. I went to a magnet public school that drew a lot of the best students from around the city. My classmates were 60% black, 50% eligible for school lunch and achieving the top scores in the state. After school and on weekends, I'd go to Hebrew school with wealthy, white suburban kids. Our teachers were mostly lesbians studying to be rabbis. In some ways, where I grew up is so unique that it's a bubble, but in other ways it exposed me to a wonderful variety of people. After getting a grant to study acting Shakespeare at the Royal Academy of Dramatic Arts in London and graduating from Harvard, Monica assisted some of New York's top theatre directors and playwrights. “I was exposed to an incredible community of the American theatre, first during a year-long internship at McCarter Theatre in Princeton, where I was mentored by the brilliant playwright/director Emily Mann AB '74, a fellow Harvard alum. Many of the artists I got to work with were about to win Pulitzer Prizes, including Lynn Nottage, Doug Wright & Nilo Cruz.” She directed an all-male production of Romeo and Juliet at the Theatre Royale in Scotland and got fellowships from Second Stage, the Roundabout and New York Theatre Workshop before making the decision to switch gears from directing to writing. To make ends meet after moving to LA, Monica got two jobs, one as a personal assistant for a computer programmer and one conducting research for the Annenberg Foundation. She reached out to Harvardwood members and was invited to have coffee, ask questions about being a TV writer, and tour TV offices. Eventually, she saw a Harvardwood job posting for a writers’ assistant position on “a hit ABC show.” She had a hunch that show was Lost, her favorite show at the time. She was right. It proved to be an invaluable experience. “Being in the Lost writers room for all of season four was like my graduate school or residency.” She’s been working on character-driven dramas since 2007. Monica honed her flexibility as a writer with two female British writer friends, Deborah Frances-White and Philippa Waller, with whom she wrote features with in her twenties while doing theatre in London. “They taught me an improv mantra: ‘Trust your obvious.’ In a workshop, they taught an exercise where we each had to come up with a sentence about a lighthouse. We went around the room, and everyone had such a different reference point for this one object. That taught me that ideas that are obvious to me might not be obvious to other people. I use that knowledge every day in a writers’ room coming up with ideas and pitches. Monica is currently developing a limited series pilot with FX. Watch for Monica’s work on the third season of Fargo on FX when it premieres on April 19, 2017. Sara Lynne Wright writes, acts and produces in Los Angeles and Seattle. Explore the craft of game design in a sampling of content from the intensive Game Design Workshop, taught every year at the Game Developer's Conference in San Francisco. Looking at game design through three lenses—mechanics, dynamics, and aesthetics—you'll learn strategies behind an iterative approach to analyzing, critiquing, and improving games called the MDA Framework. In other words, you'll learn how designers make gameplay more fun, as taught by one of the pioneers of MDA, Jonathan Hamel AB '91 (Tomb Raider, Rise of the Tomb Raider). Jonathan Hamel is a veteran game designer with over 20 years of experience in entertainment and software development. He helped reinvent one of the most recognizable and commercially-successful game franchises in the world with his design leadership on the Tomb Raider reboot (2013) and its sequel, Rise of the Tomb Raider (2015). He has made children smile, launching over 100 games on SesameStreet.com. And he gave players new battle strategies to explore in The Lord of the Rings: The Battle for Middle-earth II: The Rise of the Witch-king. He recently worked as a Designer/Programmer on What Remains of Edith Finch, soon to be released from Giant Sparrow and Annapurna Interactive. He now works full time as Chief Game Designer at a VR company, EON Reality, Inc. With Jennifer L. Holm, Jonathan is also the co-author of The Stink Files series: The Postman Always Brings Mice, To Scratch a Thief, and You Only Have Nine Lives, three novels about a cat who is a spy (published by HarperCollins). Join the HBSASC as we welcome Jeetendr Sehdev MBA '04, who reveals how social media stars attract such obsessive attention–even more than the Hollywood A-list. And what they can teach us about making our own ideas, products, and services break through. Jeetendr Sehdev is the world's leading celebrity expert. A trailblazer in pop culture insights, he has become one of the most prominent figures in celebrity news and a sought-after advisor to top international companies. Jeetendr's research on the power of YouTube stars continues to make global headlines and has gained him influencer status and over a million subscribers on social media. A graduate of Oxford University and Harvard Business School, Jeetendr works with the United Nations helping to raise awareness and promote efforts to combat modern-day slavery. He is British national who now lives in sunny Los Angeles where he teaches at the University of Southern California. Have a fling with The Ivy Plus Society at the place The LA Times calls “the best kept secret in Santa Monica,” The Viceroy. This luxurious outdoor hot spot is the perfect venue to mix, mingle, and flirt with the finest and brightest alumni Los Angeles has to offer. Enjoy delicious cocktails under pristine white cabanas surrounded by lush foliage in the heart of Santa Monica. Cocktail attire. 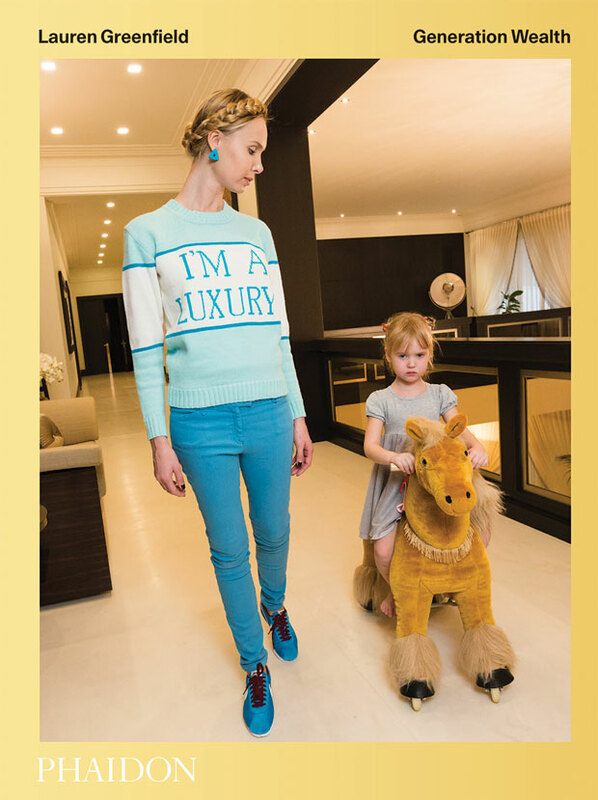 GENERATION WEALTH by Lauren Greenfield examines the influence of affluence over the last 25 years, illustrating the globalization of materialism, celebrity culture and social status. 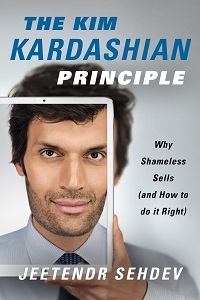 This timely, thought-provoking collection explores how “keeping up with the Joneses” has become Keeping Up with the Kardashians, magnifying the aspirational gap between what we want and what we can afford. The exhibit is not about the rich, but the pervasive desire for more. Complete exhibition details can be found here. This fun outdoor event is attended by A TON of volunteers! After you RSVP to us, Harvardwood Helps Director Stacy Cohen will get in touch with you so you can find her the day of the event and meet with other Harvardwood volunteers. Volunteers will receive a FoLAR t-shirt and reusable grocery tote at the CleanUp. Note: supplies may be limited and are distributed on a first-come-first-serve basis. EARTH DAY STORY TIME! Bring your families and friends to BARNES & NOBLE to celebrate Earth Day with The Adventures of Camellia N. The environmentally-focused book series not only educates and entertains, but helps create pint-size global ambassadors who will change our planet! We commemorate our annual gala with a joyous celebration of classic masterworks and rising talent. Concerto Competition winner Rachel Ostler joins the orchestra for Korngold’s virtuosic Violin Concerto, in an evening also featuring the spirited Overture from Mozart’s Marriage of Figaro, and Rachmaninoff’s beloved Symphonic Dances. Screening will be followed by discussion kicked off by two veterans but open to all. Co-sponsored by Heroes at Home; the Capitol District Women Veterans Program, Inc.; and the Albany Chapter of Veterans for Peace! Season 3 returns with everyone's favorite co-dependent siblings Valerie and Alex. They continue to live deep in each others emotional lives as they raise Valerie's daughter Laura. Following dramatic life changes at the end of the last season, Valerie and Alex are adjusting to a new normal while continuing to struggle to maintain boundaries with each other. After the episode: A conversation with creator and executive producer Zander Lehmann, executive producers, Liz Tigelaar, Helen Estabrook AB '03, and cast members Michaela Watkins, Tommy Dewey, and Tara Lynne Barr. Moderated by editor for New York Magazine and Vulture, Stacey Wilson Hunt. Get a dose of politics and comedy with Slate’s Trumpcast Live. Host Jacob Weisberg is joined by Slate Chief Political Correspondent Jamelle Bouie, author Virginia Heffernan AM '96, PhD '02, and more for a frank conversation on the first 100 days of the Trump administration. More info here. Members of the Harvardwood Boston/On-Campus chapter are invited to help us celebrate the 25th anniversary of Arts First Weekend at Harvard and the students who make it happen! Please join us at John Harvard's from 5-7pm on Friday, April 28th. Harvardwood's Executive Director, Dona Le, will be in attendance to answer any questions you might have about Harvardwood and our events and programs. RSVP so that we know you're coming! Friends are welcome; cash bar. The Harvardwood Seminars and Salons are some of the best opportunities for people of all career levels to learn from those a little more experienced. Generally small, intimate events, often centered around a meal, they allow for all guests to ask questions, get answers, and share anecdotes with the best and the brightest in the industry. Get to know your idols, as well as some peers interested in the same things—whether it's producing, acting, writing, or anything else—check out the next Harvardwood salon and give it a shot! Mark Wooster is a graduate of Harvard Law School and has practiced law way too long, including 10 years as head of litigation for Universal Studios. He also teaches legal Continuing Legal Education courses in a comedy format, and has written a novel and some screenplays that you will see some day. It's incredibly exciting to see all the projects Harvardwood members have in the works, ranging from short films and debut albums to visual arts exhibitions and book publications! For many emerging artists, part of the battle is spreading the word about your work so you can build an audience, viewers, listeners, readers—your future fans and supporters! That's where Harvardwood can help. Harvardwood members can leverage our Harvard network of folks working in the arts, media, and entertainment to share their projects and achievements with 8,000+ people! Browse the opportunities available to members and join Harvardwood today!